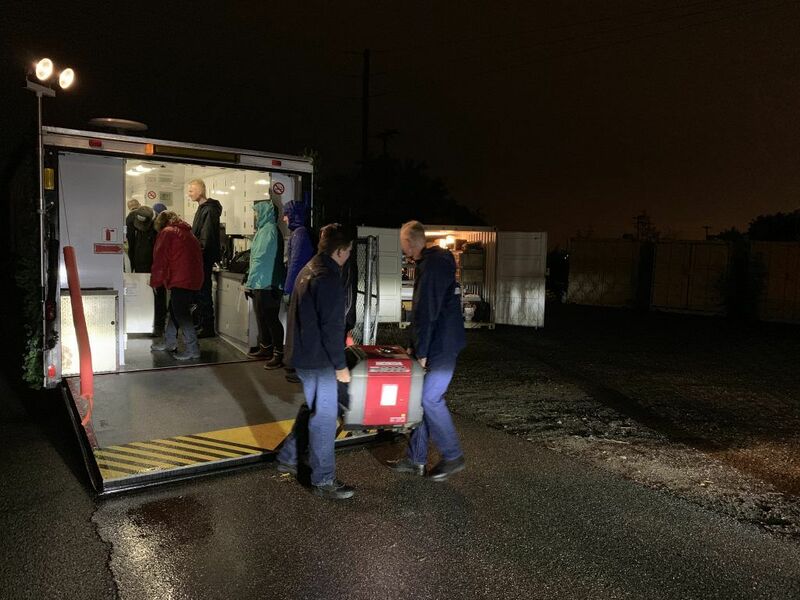 A huge Team Shout Out to the hardy members and Police Explorers who braved the rain and cold on Wednesday evening to help Ray and Dave unload the Seal Beach CERT Trailer. The job needed to be done and these folks showed up and took care of business. Thankyouverymuch! 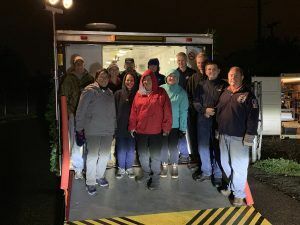 Pictured from left to right are Ray, Michelle, Jeanie, Dave , Hermie, Robin, Debbie, Michelle, Jarrett, Justin, TJ, and Lance. And of course Corporal Julia Clasby was there to assist and grab these photos. Moving the generator from the CERT Trailer to the conex box for safe keeping.